Ecah Bruker MultiMode 8 at the LCN is equipped with an E scanner or J scanner with heater and uses the unique PeakForce Tapping™ technology to provide new information, faster results and greatly improved ease of use. 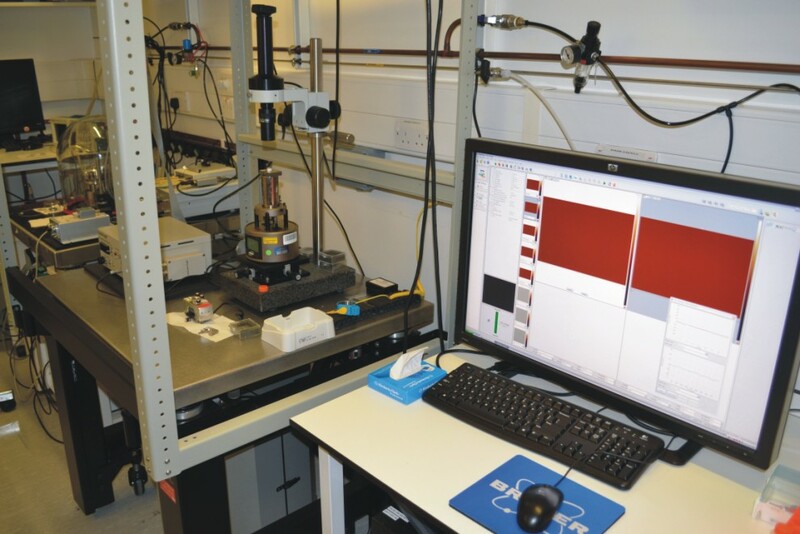 ScanAsyst allows direct control of the tip-sample interaction force and optimisation of imaging parameters. PeakForce QNM, analyses each tip-sample interaction to extract nanomechanical properties including modulus, adhesion, deformation, and dissipation.